London, June 1, 2016: Consensus Economics, the world’s leading economic survey organization, has announced the recipients of its 2015 Forecast Accuracy Award (FAA). The FAA program recognises the achievements of a select group of expert country economic forecasters who have most accurately predicted the performance of GDP growth and Consumer Price Inflation for their targeted economies over a 24 month forecasting cycle. FAA winners vary from year to year and across variables, due to shocks, surprises and cyclical and structural adjustments. However, the winners of the 2015 FAA program have been recognised for their high quality research, their commitment to regular forecasts and their ability to identify most accurately the trends and levels of key indicators over the past two years. Consensus Economics collects forecasts from over 700 economists around the world each month. It was founded in 1989 to measure consensus expectations, which are seen as macroeconomic forecast benchmarks by investment and planning managers, as well as government and public sector institutions, who find the data it collects useful, timely and accurate. The Forecast Accuracy Awards are determined using Mean Absolute Error analysis. The errors measured are the differences between the forecasts and the actual data outturns. The forecaster with the lowest average error rate is deemed to have been the most accurate over the testing period. 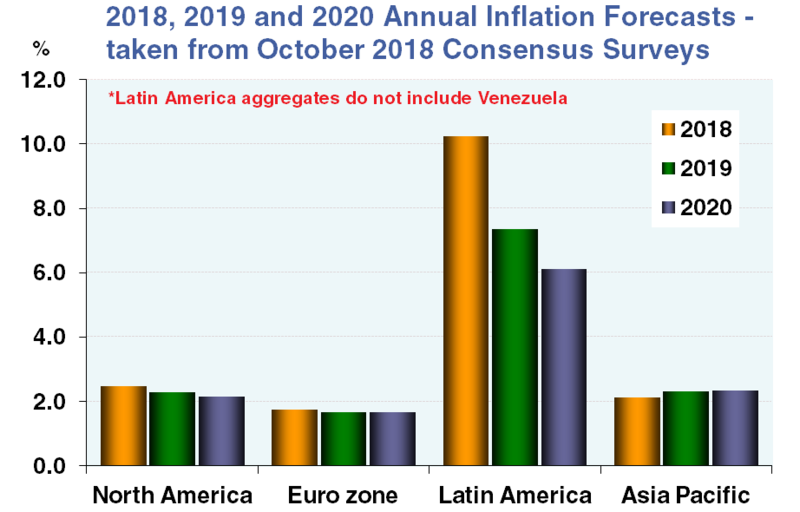 The Forecasts Used The forecasts we examine are our panellists’ monthly survey contributions for 2015 Real GDP growth and 2015 Consumer Price Inflation expectations (annual average % change). We began collecting these forecasts in January 2014, and stopped in December 2015, providing up to 24 monthly data points to test for each variable during each forecasting cycle. 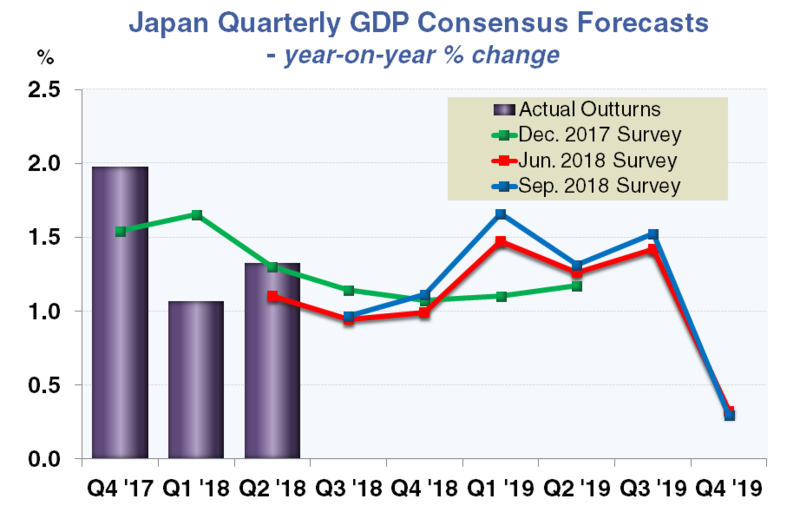 The Outturns Used The outturns we use as a comparison to the forecasts are the official estimates of GDP, usually released 3-4 months after the final quarter of the subject year. Inflation outturns are timelier, and usually released within one month of the year end. The official estimates we used for the 2015 Forecast Accuracy Awards were the most recent available as of April 2016. The Calculation When calculating the error (the difference between the forecast and the outturn) we look at the absolute error, ignoring sign, as errors resulting from over-estimation and under-estimation are equally undesirable. We then calculate the mean average absolute error for the forecasts of each panellist for both GDP and CPI over the 24 month forecasting period. 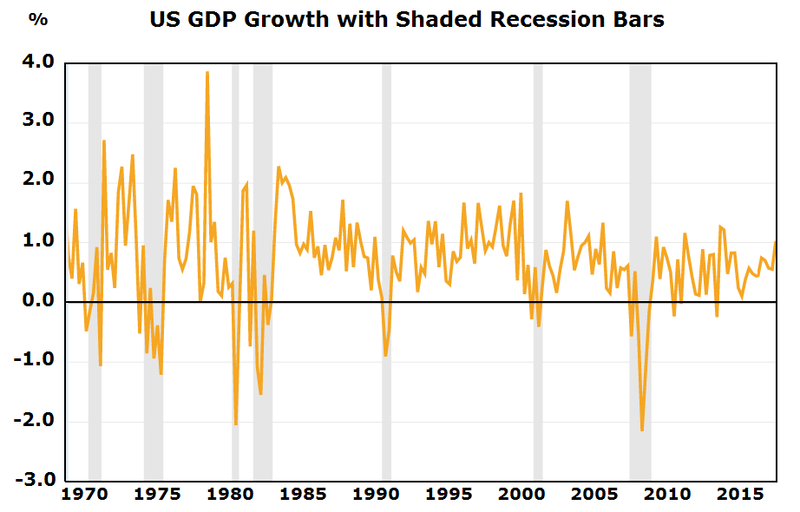 Establishing the Most Accurate Forecaster To determine the most accurate forecaster for a given year, we average the mean absolute error rates for GDP and Inflation and identify the panellist with the lowest overall error rate. 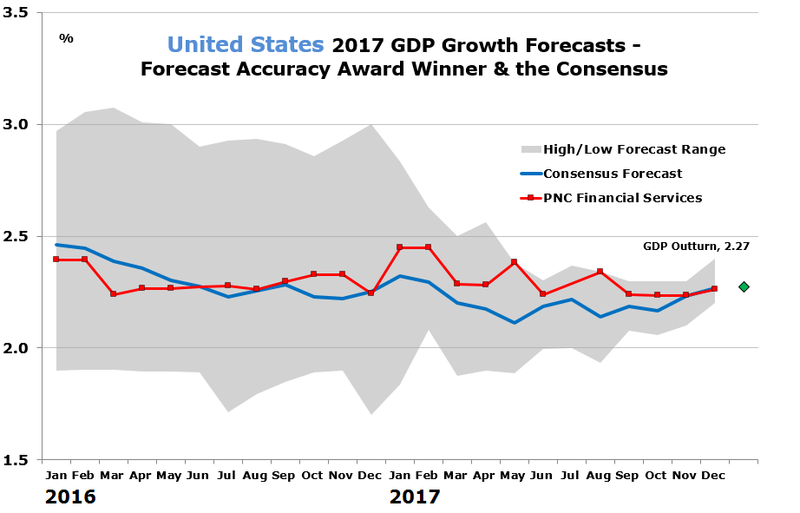 Smaller errors are best when considering accuracy, and to win the award requires the panellist to have been reasonably accurate across both GDP and Inflation variables over the 24 month forecasting horizon. Qualification To be considered for the award, a panellist needs to have participated consistently and for a high proportion of our monthly surveys over the 24 month forecasting period. 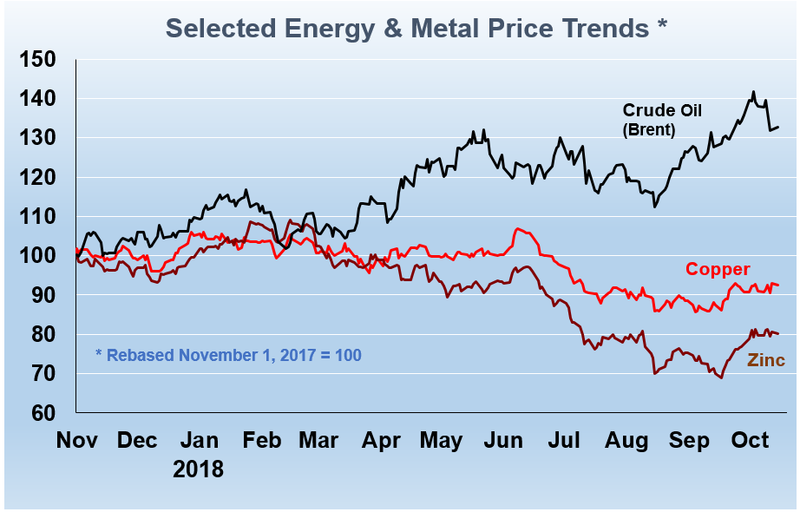 This ensures that a panellist does not gain an advantage through non-participation, or by only providing forecasts toward the end of the 24 month cycle, when the steady release of official data can assist forecasters in making revisions.